Looped the same colour (without lateral cuts). 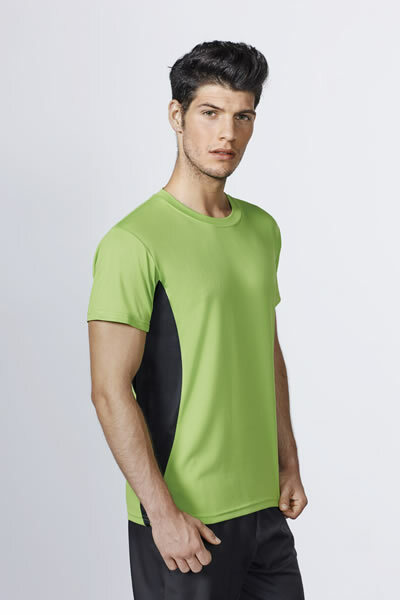 Ranglan short sleeve technical t-shirt in two fabrics. Seams in contrast in cuffs, waist, collar and sides. 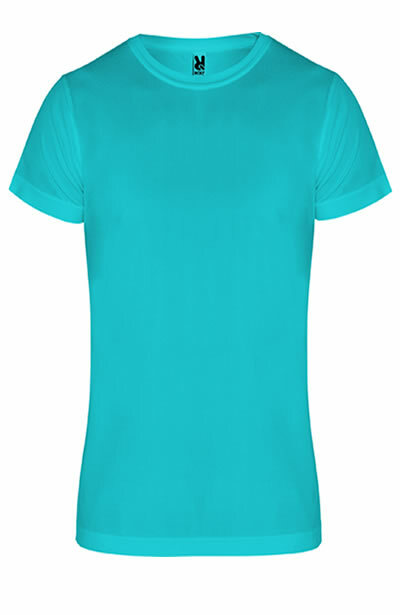 Round neck with covered seams. Crew neck with covered seams. 100% polyester pique, 135 gsm. 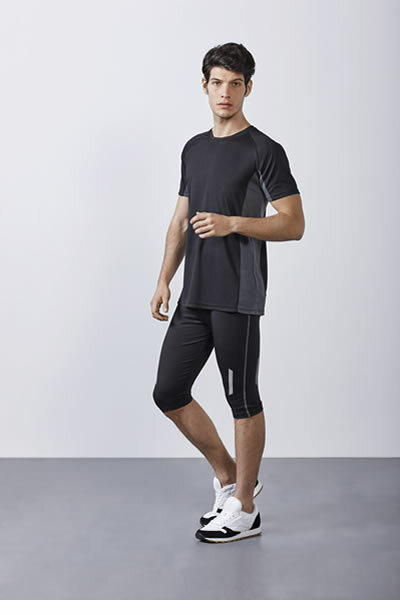 Short sleeve technical t-shirt, crew neck. 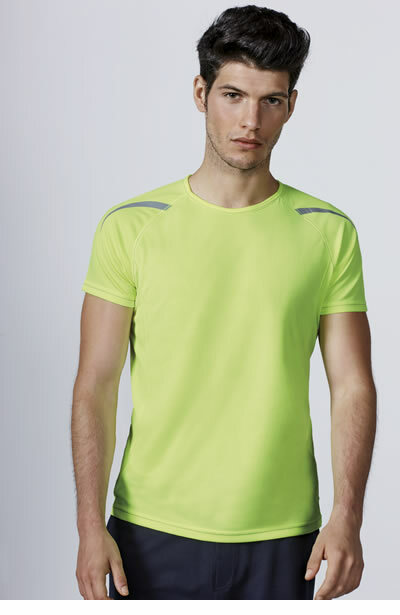 Wide straps t-shirt in microperforated fabric. 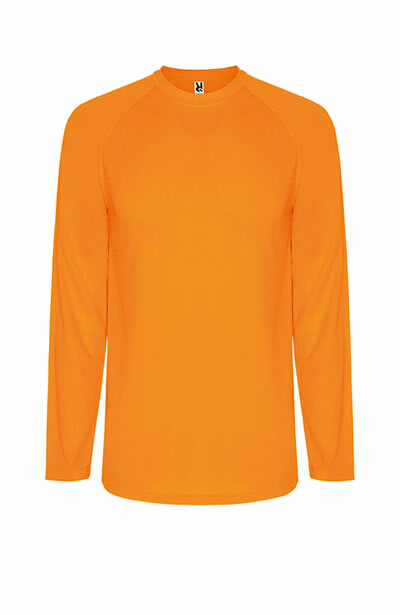 Round neck and armholes ribbed in the same fabric. 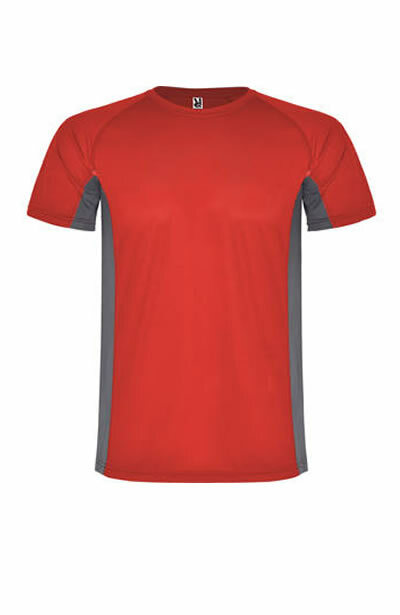 Technical t-shirt combined with two polyester fabrics, short sleeve raglan style. 100% polyester, honeycomb, 140 gsm. 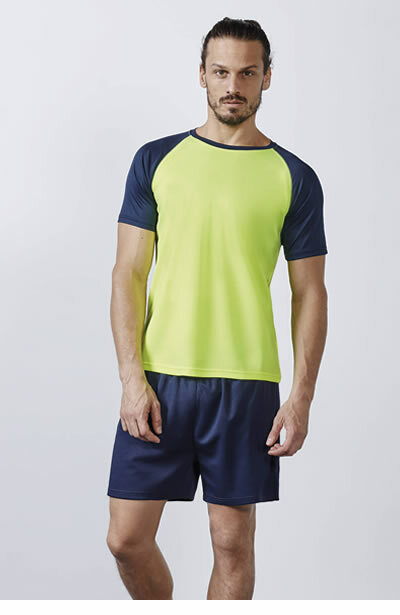 Raglan style short-sleeved sport t-shirt. Collar with zip for hood. 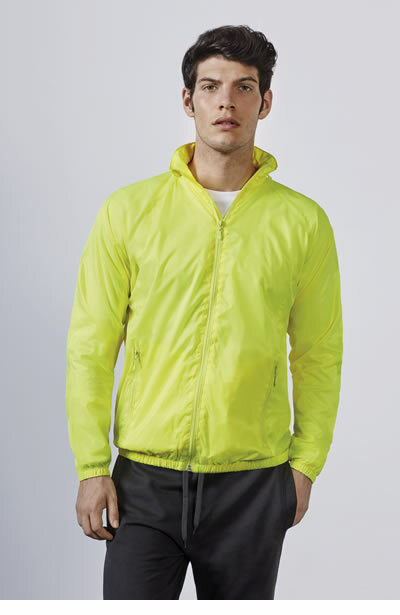 Breathable fabric on the armholes. 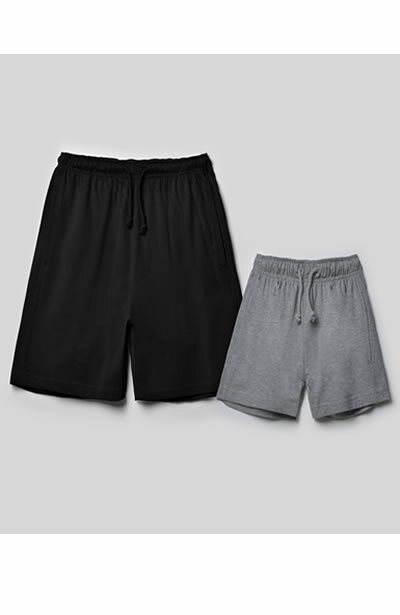 95% cotton / 5% elastane, 220 gsm.